Former US Secretary of State and National Security Advisor Henry Kissinger considered himself a formidable force in US diplomacy and US-Middle East negotiations from 1969 to 1975. After the 1973 War wherein Egyptian forces attacked Israel on the holy holiday of Yom Kippur, Kissinger was lauded for his implementation of “shuttle diplomacy” in the Middle East. More specifically, he was celebrated for somewhat successfully achieving bilateral peace between Egypt and Israel as a result of “shuttling” back and forth between nations to broker a series of disengagement agreements. While scholars like Rashid Khalidi and Paul Chamberlin emphasize the importance of Cold War divisions and the prioritization of US-Soviet relations in shaping US foreign policy during this period, the effects of Cold War politics and Kissinger’s implementation of shuttle diplomacy as a “wedge” are overstated. In addition to the superpower feud between the US and the USSR, shuttle diplomacy was also heavily influenced by Kissinger’s personal diplomatic and negotiating style in the years before it was formally instituted as well as domestic bureaucratic and political factors. These factors, including Kissinger’s relationship to former Secretary of State William P. Rogers and the Watergate scandal, played significant roles in influencing Kissinger’s bilateral relations with Israel and Egypt. This paper will investigate the role of Henry Kissinger in the US foreign policy pivot towards shuttle diplomacy. It will focus particularly on how and why shuttle diplomacy ensued in addition to tracing the trajectory of Kissinger’s approach to the Middle East from 1969 onwards. Advisor, which started in 1969. During this time, he established “standstill diplomacy” as a precursor to shuttle diplomacy. After the 1967 War, most of the international community, including the United Nations and the USSR, endorsed the comprehensive land-for-peace deal under UN Resolution 242, which would have resulted in Israel leaving its occupied territories and Arab nations recognizing Israel’s legitimacy in the region. Before UN 242 was discussed, however, Egyptian President Gamul Abdul Nasser declared a War of Attrition against Israel in 1969, which escalated until 1970. Despite Israel’s tactical victory in the war, the true result of the war was an impasse: Arab states refused to negotiate from a position of weakness, as they had suffered defeat and feared political instability from internal coups and revolts, and Israel saw no need to negotiate or concede due to their tactical victory. In an attempt to resolve the impasse, Kissinger argued that the US should institute standstill diplomacy, a process in which the US would encourage a standstill in the peace process to convince Israel, Egypt, and other Arab countries that Moscow was powerless to help them. The longer Kissinger promoted the impasse, the more Arab nations believed that Moscow could not assist them; as William Quandt states, “The main considerations underlying this stage of the Nixon-Kissinger strategy were to convince Sadat that a prolonged war of attrition, fueled by Soviet arms, would not succeed and to demonstrate to the Kremlin that the United States was capable of matching Soviet military deliveries to the Middle East.” It was during this time wherein Kissinger worked on overriding the implementation of UN 242. Instead, he focused on establishing bilateral relations with Egypt and Israel, which would set the stage for the Sinai I and Sinai II agreements that followed the 1973 War. One crucial element of standstill diplomacy was that Kissinger saw no need to reach a comprehensive Middle East agreement that would solve fundamental issues like the Palestinian question: how would the borders of Palestine be defined, and would it be recognized as a legitimate state? Kissinger never sought to answer this quintessential question, yet it still continues to dominate the debate on the Arab-Israeli Conflict today. This diplomatic strategy towards the Middle East was not only the result of Cold War politics, but can also be attributed to Kissinger’s personality and diplomatic style, including his historic outlooks on diplomacy and foreign policy. Before becoming National Security Advisor, Kissinger was a prolific author and academic who held multiple degrees from Harvard University. He had also risen to national prominence as a supporter of realpolitik, arguing that the US should have the capacity to wage a limited nuclear war as a response against President Eisenhower’s nuclear policy. In a Memorandum of a Conversation in 1971 between Kissinger and William Rusher, a publisher of the National Review, and other members of the conservative establishment, Kissinger heavily emphasized the deterioration of America’s defense capabilities, highlighting that American populations “would be defenseless if we were without retaliatory capacity” and advocated for “a policy for the use of tactical nuclear weapons”. Prior to 1968, Kissinger also opposed many of the foreign policy outlooks he advocated under Nixon, such as the emphasis on détente with the USSR, a greater partnership with Europe, and even Cold War politics. According to Joan Hoff in A Revisionist View of Nixon’s Foreign Policy, Kissinger reiterated: “I’m very worried that Nixon’s Cold War outlook has remained frozen since his vice-presidential years in the fifties and that therefore in the seventies, in the waning military pre-eminence of American power, it could lead him into taking undue risks.” Even during the Nixon presidency, Kissinger believed that Nixon was too optimistic in his view of foreign policy. Kissinger’s own foreign policy approach had 19th century European roots, which emphasized pessimism and restraint in comparison to Nixon’s tendency to take risks. Kissinger’s aversion to risk with respect to foreign policy was incredibly pronounced in his approach to the Arab-Israeli conflict, wherein he tended to tread lightly in order to avoid failure. In his conversation with Israeli Ambassador Simcha Dinitz on March 30th, 1973, for example, Kissinger said, “I will take no initiatives. I will react in a slow-moving way to their proposals. If it moves slowly and drags through the summit, that is their problem. I am not aiming at a Nobel Prize in the Middle East”. As Hoff suggests, beginning in 1969, Kissinger initially did not want to get “bogged down” in the Middle East because failure was more likely than “flamboyant successes.” Kissinger also had limited prior experience in the region. Even Kissinger admitted that he knew “very little of the Middle East” when taking office as National Security Council Adviser, and had never been to an Arab country previously. Kissinger’s risk aversion and lack of experience in Middle East politics would follow him to the negotiating table in 1973, where he straddled the line between slow-moving diplomacy and wasting time. For Kissinger, this usually took form in making the US seem like a neutral arbiter in the Arab-Israeli conflict, even in light of the obvious tensions between the US and the Soviet Union and their vested interests in the region. In fact, Kissinger even portrayed Cold War “politics” as somewhat divisive in a memorandum to President Nixon in 1972, in which he suggested that the administration’s “ability to move Israel” would be dependent on avoiding the appearance of a US-USSR solution, justifying it as a “solution to a practical problem.” In his conversation with Ambassador Dinitz in 1973, Kissinger also seemed hesitant in taking a hard-line role in the Arab-Israeli conflict, going so far as to say that he was not even trying to negotiate peace. He states, “we are doing nothing, we are wasting time… So with the Russians there is practically nothing going on.” In a cabinet meeting on October 18th, 1973, Kissinger employs a similar tone of diplomacy in relation to the USSR by saying, “we have told the Soviet Union this is a test of détente, but we have not thrown down the gauntlet… We are trying to use diplomacy as a bridge to a decent settlement. We will make our case to the public after the diplomacy has concluded.” What exactly Kissinger meant by “diplomacy” was relatively unclear. In such conversations, Kissinger was cautious to avoid an ideological approach, instead focusing on these so-called principles of diplomacy and negotiation to maximize political gains for the United States. There was no long-term plan or overarching policy stance because there seemed like there was more to lose; the vagueness was intentional. Thus, Kissinger’s standstill and shuttle diplomacy approaches are easily linked to his pre-existing philosophies of realpolitik and political pragmatism, in which he emphasized short-term, vague, and impartial solutions to increasingly complex issues like the Arab-Israeli conflict. As Kissinger acquired more autonomy as a decision-maker in the Nixon administration, his approach towards the Middle East would eventually overshadow the alternative that sought to reign in a long-lasting, comprehensive, and multilateral peace: the Rogers Plan. As national security adviser, Kissinger ‘mercilessly exploited Secretary of State Rogers’ laid-back style and unwillingness to jump into a fray.’ As a Kissinger aide noted, ‘Their relationship revealed all the shabby traits of Henry’s character: his secretiveness, suspiciousness, and vindictiveness.’ The under-secretary of state at the time recalled that he spent as much time negotiating between Rogers and Kissinger as he did on the Arab-Israeli conflict. Bureaucratic scuffing aside, Kissinger took advantage of his proximity to Nixon and his penchant for realpolitik to therefore discredit UN 242 as a potential solution, believing that the need for just and lasting peace within secure and recognized borders under the resolution was “so platitudinous that the speaker could not be serious.” Kissinger even personally reached out to Israeli Prime Minister Golda Meir and encouraged her to not accept the Rogers Plan; he would also meet separately with Soviet Ambassador Anatoly Dobrynin to tell him that the White House had no interest in the Rogers Plan. For Kissinger, this was the most efficient way to establish bilateral relations in the Middle East, as he believed that shuttling between Nasser’s successor, Anwar al-Sadat, and Israel’s Prime Minister, Golda Meir, would save him from Nixon’s “unproductive interface” and the bureaucracy of the slow-moving Geneva committees. In addition to strengthening bilateral ties between the US and Israel and the US and Egypt, Kissinger’s ability to sidestep bureaucracy and manipulate the key players within would prove beneficial for his own vision of diplomacy. In a 1973 Cabinet Meeting, Kissinger directly rebutted Nixon’s stance that a ceasefire could be negotiated with UN 242. 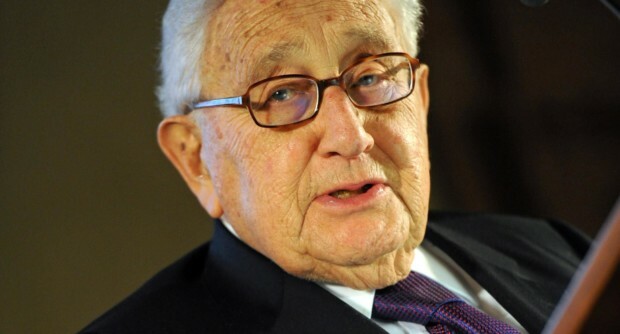 Kissinger stated that “242 is not a new proposal. It is very dangerous to speculate about any particular formula. The major problem now is to get the parties into a negotiation with a formula so vague that each party can save face.” With Kissinger’s pessimistic foreign policy approach and his tendency to minimize risk, it follows that he would harp on UN 242 for being too “particular”—it was perfectly consistent with his entire approach to the Middle East. The declining influence of Rogers paved the way for Kissinger to increase his foothold in the bureaucracy of US foreign policy decision-making. By 1973, Rogers’ authority had already been heavily undermined by Kissinger, who had become much closer to President Nixon during that time. Additionally, Rogers and Joseph J. Sisco, the Assistant Secretary of State for the Near East and Asia, had attempted to negotiate a ceasefire in 1970 that was violated within seconds, which represented another harsh blow to Rogers’ credibility. Meanwhile, Kissinger had established himself as the necessary intermediary between the US, Israel, and Egypt via his back-and-forth meetings behind Rogers’ back with major actors such as Meir. There was even an indication of an “American special relationship” with Israel that encouraged the Arabs to deal with Washington instead of Moscow when it came to diplomacy. With the Rogers Plan now out of the picture, Kissinger was fully able to execute his method of diplomacy, pivoting away from the Cold War framework of a one-sided, superpower-negotiated solution and instead established the US as an intermediary between parties like Israel, Jordan, and Egypt. In a memorandum to Nixon on May 17th, 1972, Kissinger states: “I would want to avoid the atmosphere of total inflexibility since that could lead the Soviets to step up their military program in Egypt.” Kissinger realized that calling for the expulsion of Soviets in the Middle East would polarize Arabs and drive militants towards buying Soviet arms–his tactics needed to be flexible and adaptable in order to establish bilateral relations. It was this notion of flexibility that allowed Kissinger to appease both the Israelis and Arabs, and and it was his dominant position in negotiation as well as his previously established relations with Middle East dignitaries that established him as indispensable. In addition, due to Moscow’s “rigid bureaucratic chain”, Kissinger was able to gain the upper hand in negotiations, as he had less constraints and less bureaucratic limitations. There was no particular idea which Kissinger brought to the table that made the difference. Instead, it was the need for an intermediary who had the confidence of both sides, which Kissinger managed to acquire over time. He was also overly insistent on gaining Egypt and Israel’s trust during negotiations. There are accounts that Kissinger refused to leave the Middle East until he had firm commitments from Cairo and Tel Aviv to an agreement, even when Nixon wanted Kissinger to come home and stage a public agreement with him. With Egypt, Kissinger maintained communications with Sadat’s national security advisor, Hafez Ismail, through a CIA backchannel. He would often meet with Ismail without Rogers’ approval as the Rogers Plan was still being considered, presenting himself as Egypt’s ally against Israeli manipulation and rejecting the Israeli demand that disengagement would mean the withdrawal of Egypt from its territory among the Suez. Egypt would therefore appeal to the US to help its Third Army Corps during ceasefire negotiations in the 1973 War, as exemplified in Sadat’s message to President Nixon: “Thus, while the Egyptian side has kept to its word, the Israeli side is still resorting to dilatory methods… I therefore request you to take a firm and clear stand with respect to these continued Israeli methods of defeat.” Kissinger and the US were vital in negotiations between Egypt and Israel, with Kissinger often overstating his promises to one country or the other in order to deepen their respective trust. In regards to Israel, many suggest that Meir’s faith in Kissinger was also the result of his success. According to Stein, Meir had “regarded him as a friend of Israel and trusted his basic instincts to ensure Israeli security.” Though Meir had major ideological differences with Kissinger, she understood his vital role in the negotiation process, as Kissinger had almost daily contacts with Israeli Ambassador Dinitz. It seemed that the rest of Israel did as well. When Nixon and Kissinger visited Israel in 1974, a New York Times article reported that while “a crowd outside cheered the President, [they] cheered louder for Secretary of State Kissinger, who seemed delighted.” The article also stated that Nixon’s role in the Watergate Scandal had been heavily problematized in Israel, which allowed Kissinger to be seen as the shining diplomat in US-Israel relations. Therefore, domestic factors like Watergate had a considerable influence on the structures and institutions that allowed for American decision-making on foreign policy, and it is one of the reasons why Kissinger’s power in the Nixon Administration became so salient. The influence of domestic factors, like public opinion and the Watergate Scandal, significantly affected Kissinger’s position in negotiations, his power in the administration, and consequently, US foreign policy in the Middle East. When Watergate emerged in 1973, Nixon aimed to replace front-page Watergate headlines with news of Rogers’ resignation and Kissinger’s appointment as his successor. Believing that foreign policy could rescue Nixon from impeachment proceedings and domestic troubles, Kissinger also attributed multiple successes in the Middle East to Nixon in order to bolster his approval ratings. In the 1974 New York Times article entitled “Kissinger Takes Edge Off Watergate”, Philip Shabecoff writes that “for the first time in recent memory, issues of Watergate and impeachment did not arise at the midday White House news briefing… instead, questions concentrated almost exclusively on foreign affairs, including the agreement between Israel and Syria and the President’s forthcoming summit meeting in the Soviet Union.” On the eve of Nixon’s resignation in 1974 within the confines of the White House sitting room, Kissinger told Nixon that when it was all over, the President would be remembered for the peace he had achieved, even if Kissinger had done most of the legwork. It was also obvious that Nixon was not functioning at full capacity and could not deal with the consequences of the 1973 War himself. On October 20th, 1973, Scowcroft advised Kissinger that Nixon was “devoted exclusively to the Watergate tape crisis” and became “very relaxed with respect to the Middle East issue… he is quite preoccupied with the domestic situation and much more passive toward your mission and the Middle East crisis.” During the proposed ceasefire and the subsequent Israeli and Egyptian violations of the ceasefire, Kissinger noted that Nixon sounded very distressed and overwhelmed by his own impeachment; Nixon was also far more concerned with the OPEC oil embargo and Geneva peace negotiations than he was with Kissinger’s discussions with Middle East diplomats. Watergate even made its way to Israel. A New York Times article detailing Nixon and Kissinger’s visit stated that “[Nixon] encountered, here in Israel, the first show of hostility of his Middle Eastern journey — signs, held by some in the crowds, disparaging his role in the Watergate affair.” The weight of the Watergate affair stood almost fully on Nixon’s shoulders, affecting Nixon’s ability to negotiate and make decisions about the Middle East. Kissinger, who replaced Rogers as Nixon’s right-hand man on foreign policy, was entrusted with the power to make decisions when Nixon was incapable. When Soviet forces threatened intervention in October 1973, Kissinger had been the one to place US military forces on DEFCON III alert—the highest state of readiness during peacetime conditions—when Nixon was asleep, completely missing the Cabinet meeting when the alert was called. Both Haig and Kissinger believed he was “too distraught to participate in the preliminary discussion,” and while none of the officials who had met during the discussion were even elected to public office, Kissinger’s decision was rarely questioned due to Nixon’s prior trust in Kissinger as well as Nixon’s lack of engagement due to Watergate. Quandt emphasizes that these decisions were typical for Kissinger, especially in the context of Watergate: “Kissinger was concerned that the Watergate scandal not appear to impede the conduct of American foreign policy. Intentional overreaction would be better than underreaction.” The DEFCON III alert turned out to be a necessary overreaction for the US, as it would eventually deter Soviets from intervention and result in unprecedented negotiations between Egypt and Israel. The DEFCON III alert and the negotiations that followed resulted in the Sinai I and Sinai II peace agreements between the US, Egypt, and Israel. While the agreements were not a comprehensive solution aimed at long-term peace in the Middle East, Sinai I and Sinai II were the logical outcomes of Kissinger’s entire diplomatic trajectory in the Middle East from 1969 onwards. Moreover, they would not have been possible if Kissinger did not already establish a relationship of mutual trust and dependency with Egypt and Israel, nor if Kissinger had not been able to cement his position in the Nixon Administration to have a decent amount of control over foreign policy. During Sinai I negotiations in 1974, Kissinger shuttled back and forth to broker an agreement between Israel and Egypt, which focused on army lines and buffer zones. It was followed by negotiations for a Syrian-Israeli disengagement plan, which took much longer and centered on the control over the city of Quinetra, but nevertheless reached an agreement on May 31, 1974. After Nixon had resigned, Kissinger negotiated another agreement between Israel and Egypt, or Sinai II, which led to the withdrawal of Israeli forces from the Sinai and an UN buffer zone established in 1975. Sinai I and Sinai II were transformational in the Middle East, as they had represented a de facto alliance between the US, Egypt, and Israel; not only did US aid for both Israel and Egypt increase staggeringly from the 1970s onward, but the US managed to broker peace between two countries that were locked in conflict for decades. Unfortunately, the unseen consequence was that the agreements completely omitted the issue of Palestine and its potential role in securing long-term peace in the Middle East. This oversight would become the main issue in the Middle East for decades to come–the effects of which extend beyond the scope of this paper. In the years before Sinai I and Sinai II, however, alleviating the pressures generated by the 1973 War was of utmost importance to Kissinger, and his unorthodox means of doing so certainly corresponded with his tactical approach to diplomacy. Within the scope of Kissinger’s diplomacy and foreign policy outlook, long-term peace in the Middle East from 1967 onwards was never the ultimate goal. As a man dictated by political pragmatism, Kissinger was less influenced by the need for peace within secured borders than his concern for solving political problems as they arose. Oftentimes, this meant establishing relations of trust with countries like Egypt and Israel despite US long-term goals in the region. Furthermore, Kissinger’s disdain for bureaucracy and personal philosophies towards diplomacy would significantly influence the ways in which he dealt with the Middle East, most of which would have never come to fruition had he not exerted a huge amount of influence in the Nixon White House. With the declining influence of Rogers and the emergence of the Watergate scandal, Kissinger was in an ideal position to take the lead on negotiations within the Arab-Israeli conflict, and he had the personality and diplomatic approach to insert himself into such a position. Shuttle diplomacy was therefore not only an isolated, Cold War-approach solution to the 1973 War, but had also followed a much longer trajectory in relation to Kissinger’s diplomacy and the domestic factors that arose during the Nixon years. Yet, in the long-term scheme of US foreign policy, Kissinger’s policies actually created a foreign policy blowback that contradicted his original goals of restraint and success in the Middle East. By focusing on Egypt-Israel relations and sidestepping the Palestinian question, the US was inherently unable to serve as a neutral arbiter in future Middle Eastern relations, unfortunately stalling any future prospects for US-led peace in the region. The biggest consequence of Kissinger’s tactical and pragmatic politics was therefore his hubris and inability to see the need for a comprehensive peace plan in the Middle East—an area of the world that requires more than a realpolitik game of chess to navigate. Washington Post. March 27, 1976. Item 06. The Harold Weisberg Archive. Kissinger, Henry, and Richard Nixon. “Conversation Between President Nixon and His Assistant for National Security Affairs (Kissinger).” Office of the Historian, February 21, 1973. Conversation No. 860–15. National Archives, Nixon Presidential Materials, White House Tapes. https://history.state.gov/historicaldocuments/frus1969-76v25/d22. Stein, Kenneth W. Heroic Diplomacy: Sadat, Kissinger, Carter, Begin and the Quest for Arab-Israeli Peace. Taylor & Francis Group, 1996. Isaacson, Walter. Kissinger: A Biography. Simon and Schuster, 2005. Shabecoff, Philip. “Kissinger Takes Edge Off Watergate.” The New York Times. May 31, 1974. https://www.nytimes.com/1974/06/01/archives/kissinger-takes-edge-off-watergate.html. Sadat, Anwar al-. “Memo: Message for the President from President Sadat.” Central Intelligence Agency, n.d. Freedom of Information Act Electronic Reading Room. https://www.cia.gov/library/readingroom/document/51112a4a993247d4d8394484. Archives, Nixon Presidential Materials. https://history.state.gov/historicaldocuments/frus1969-76v23/d287. Kissinger, Henry, and Simcha Dinitz. “Memorandum of Conversation.” National Security Archive, March 20, 1973. The Kissinger Transcripts: A Verbatim Record of US Diplomacy, 1969-1977. https://nsarchive2.gwu.edu/NSAEBB/NSAEBB193/HAK-8—11-71.pdf. Kissinger, Henry, and William Rusher. “Memorandum of Conversation with Conservative Opinion Leaders.” National Security Archive, August 12, 1971. The Kissinger Transcripts: A Verbatim Record of US Diplomacy, 1969-1977. Kissinger, Henry. “Minutes of a Cabinet Meeting.” Office of the Historian, October 18, 1973. Document 201. Foreign Relations, 1969–1976, volume XXV, Arab-Israeli Crisis and War, 1973. https://history.state.gov/historicaldocuments/frus1969-76v38p1/d20. Korn, David A. “US-Soviet Negotiations of 1969 and the Rogers Plan.” Middle East Journal 44, no. 1 (1990): 37-50. http://www.jstor.org/stable/4328055. Dallek, Robert. Nixon and Kissinger: Partners in Power. 1st ed. New York: HarperCollins, 2007.